Well captured, Howard! 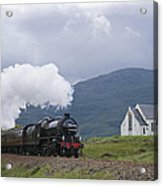 What a great scene! 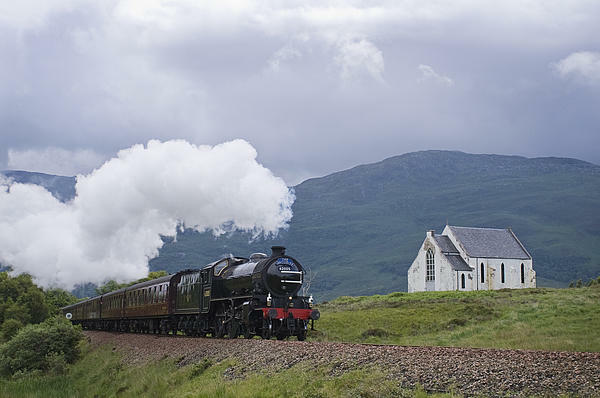 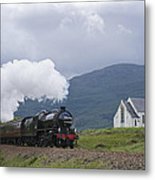 The Jacobite Express steam train on the route used in the Harry Potter movies passing Lochailort Church.